Three Buccaneers players have been involved in international action this past week. 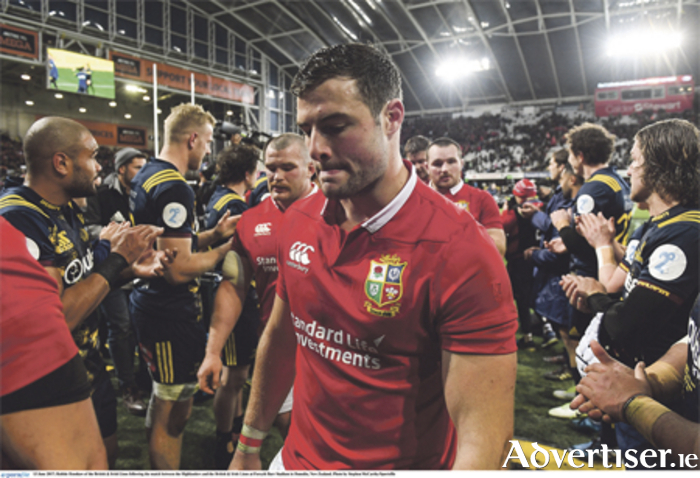 Topping the bill is Robbie Henshaw, who followed up his debut for the British & Irish Lions against the Blues with selection on the Lions starting XV to face the Highlanders on Tuesday this week. Henshaw is the first Athlonian to wear the famous red jersey. He will be hoping his form will earn him a place in the test sides for the much-anticipated matches against world champions New Zealand. Jordan Conroy’s hectic season also continues and he follows up his appearances for Ireland Sevens in Russia last week with more exciting contributions to that squad in Round 2 of the European Sevens, which is being held in Poland where he scored in each of Ireland’s three wins on the opening day. Meanwhile, Luke Carty has been called up to the Ireland U20s squad, who have been encountering a torrid time in the World Cup being held in Georgia. With Johnny McPhillips and Bill Johnston both injured, many involved at Buccaneers felt that Carty warranted selection in the squad that travelled to the tournament. Now, following injuries to Angus Curtis and replacement Conor Fitzgerald, the young Pirate gets a belated but richly warranted call to arms.